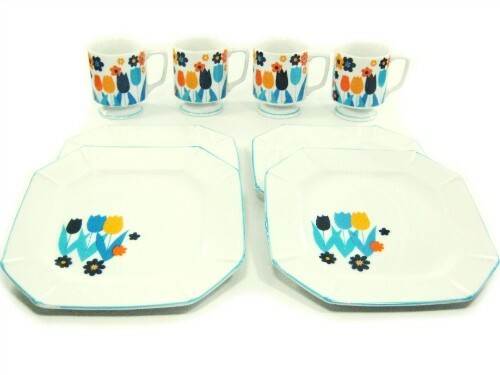 This set of four retro flower cups and dessert plates from Gift Galley are a colorful addition to your kitchen. Each cup and plate features orange, blue and yellow flowers. This set is in great condition overall.